A lot of people are choosing to marry later than what was once the norm. The young at heart are stepping into younger people’s shoes! Quite often, the more mature are marrying later for financial or career reasons. Or the couple may want to put off having a family. Then there are the returnees. They’ve been married before, and, for various reasons, are starting again. One or both of them may be divorcees. Alternatively, they may have lost their first spouse. Next, there are those who are afraid of taking such a big step. They don’t want to risk marrying until they are ‘sure’ that the relationship has a good chance of lasting. Gay couples in a civil partnership are increasingly looking to convert their legal status to marriage, and many established pairs are therefore taking advantage. Should the ceremony be different? A church wedding (if permitted) will be the same for an 18- or a 58-year-old. The same can be said for a register office ceremony. These are basically standard ceremonies. 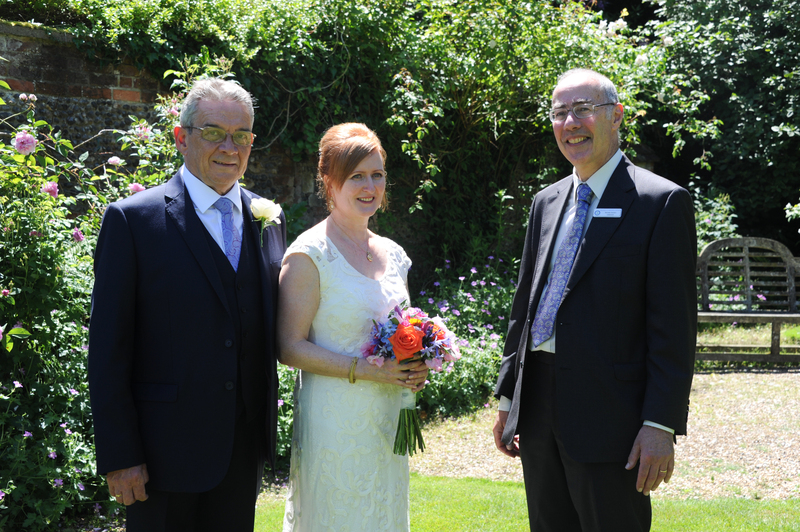 If you’re looking for a tailor-made ceremony, then go for a civil ceremony. By the nature of the thing, no two civil ceremonies are likely to be the same, so it is impossible to be prescriptive. Nevertheless, when approached by couples who are young at heart, I still have the preliminary chat and establish what elements (if any) they have in mind. I make suggestions and then, over time, send over drafts for them to approve. The areas I am likely to cover include music, rituals and readings. Why shouldn’t older couples enjoy the same sort of music as youngsters (if that’s their choice)? They may choose the same rituals (a Unity Candle is always lovely – but maturer pairs may have families they want to involve, so this ritual can be expanded to include offspring etc.). Either age group may decide to include the offering of a gift, such as a red rose, to their parents during the marriage. A good celebrant will be able to supply suitable suggestions. Of course, some rituals (such as ‘jumping the broom’) may be less advisable for more mature couples! There’s no reason why age should prevent couples from writing and/or reciting their vows or having the rings blessed.